From email: "As we entered the large open meadows on the east face ... we remotely triggered a sizable avalanche from 2-300 yards away. The crown was approximately 100 yards wide, running several hundred yards downhill ... the crown appeared to be about 2 feet deep." Small avalanche 70m up "The Dribbles" ice climbing route in Hyalite. From email: "Some super heavy wind loading as the slope flattened out.... as he set up the anchor 70m up the climb a small slab came off just to his left." "We remote triggered this deep slab on our ascent. 10000 feet on ne aspect, slope around 40 degrees. Recently loaded and failed on advanced facets above an October ice crust. In places pulled the crust to the ground. As-hs-r3-d2.5 plus. Crown 2-3 feet flanks 400 ft. Spooky settlement." 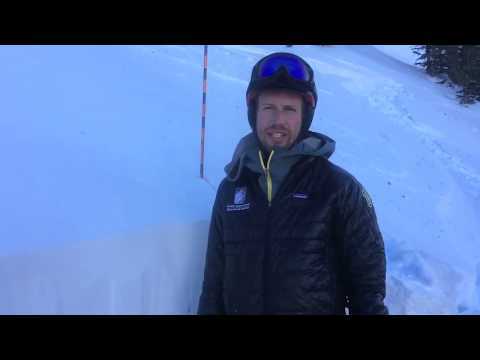 " There was a avalanche on Sunday in Cabin Creek, it appears that a few rider's were high marking an open face, didn't see it happen but I did observe rider's from a distance in that area." "... on the way out if town in the truck we saw that Lionhead had a big slide before airplane hill. Must have been this morning because we didn't notice it yesterday." 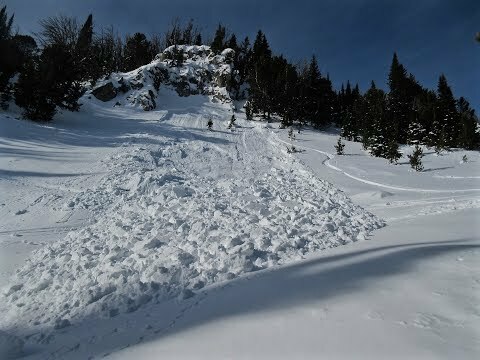 A snowmobiler triggered this small, but deep avalanche as he rode under the slope. From his email, "We were riding as a group of 5. All with beacons ,shovels, probes and 4 with inflate packs. The hill broke as I was side hilling. I was just ahead of it and not knocked off the sled." 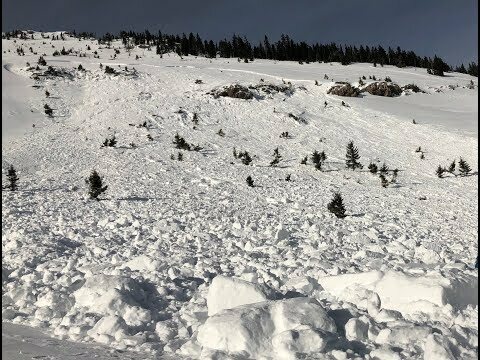 Snowmobilers near lionhead witnessed three avalanches on Jan 7, 2019. One natural and two remotely triggered. From email: "We had been climbing a safe slope adjacent to this slide... 24 inch crown and about 200 feet wide... Occurred at 1:38PM on an easterly wind loaded slope...The third slide... was triggered when the group passed below a short steep slope. We were well spaced and using safe practices when the number 6 sled in line remote triggered the avalanche. It flowed across our tracks and was about 12 inches deep. No one was caught or threatened.... on a southeast aspect." 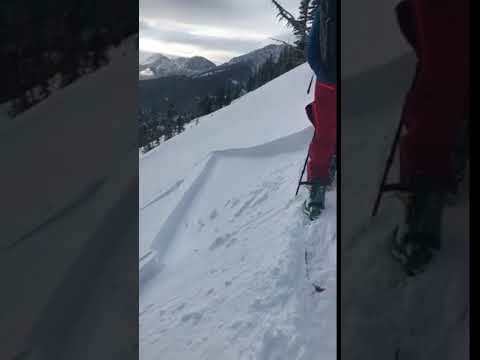 We found this fresh skier triggered avalanche in Middle Basin today 1/5/19. East aspect. 9,400’ elev. It broke 1-2’ deep on weak, sugary facets. We had stable results in our stability tests (so did another group nearby), but this slide and recent reports of collapsing in the area indicate an untrustworthy and unstable, poor snowpack structure. 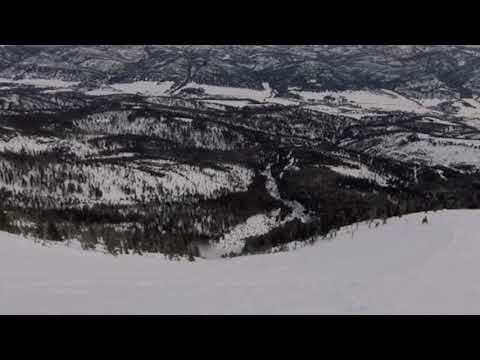 This avalanche was triggered by the second skier down the slope. Nobody was caught. A rider reported: "I had just rode up and was on my way down when it broke off right beside me. I was approximately 80 yards to the north of the slide when it broke." From e-mail: "This was a snowmobile triggered slide in a S aspect in the Blue Creek Drainage SE of Reas Peak in the Centennials. No one was caught and no injuries"
Slides were skier triggered. Wind-loaded from new snow. They triggered two in that area on the steeper rollovers. One in that main south facing chute and another on the face above sled parking. A natural avalanche was seen on the Fin of Mt. Republic on 12/31(Mon). 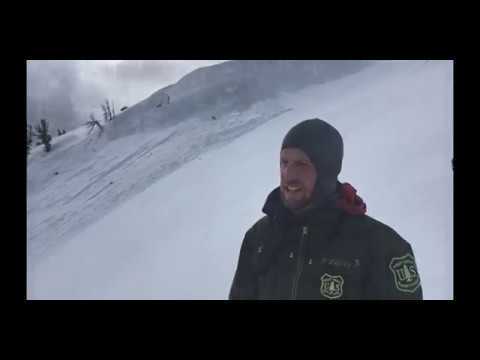 Skiers also remotely triggered 2-4 inch deep avalanches in the new snow from 100+ feet away in Yellowstone National Park on 12/30 (Sun). Also, " One skier triggered slide on a west aspect of Woody also observed, from yesterday (12/30) (6-12" deep and 50' wide)." 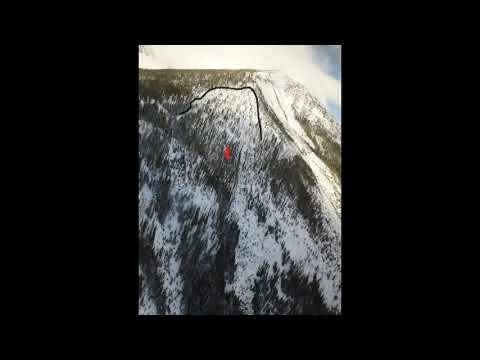 A snowmobiler triggered this slide in the 3rd Yellowmule of Buck Ridge on Monday (12/31). It was an east facing slope. 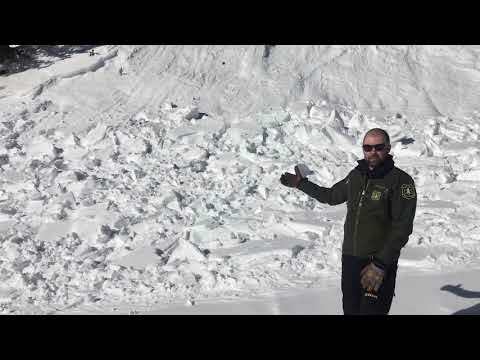 The avalanche on the south face of Mt Abundance was set off at about 2:00 pm on Thursday. A rider realized he triggered a slide on his way back down the slope. It was estimated to be at least 1+ foot deep, 100 feet wide, and ran 100 feet slope distance. It was big enough to bury a person. This depth (est. 1+') is similar to the faceted layer that was unstable near Lulu Pass the day before (ECTP22). 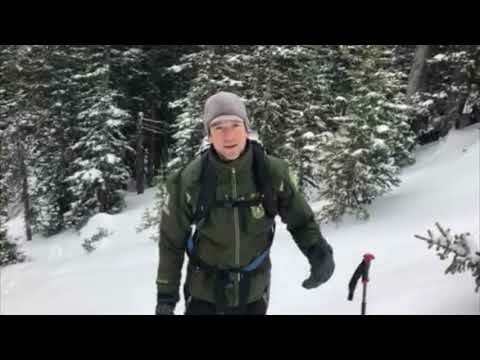 This was triggered Christmas Eve day while skinning up a ridge in the mountains east of Emigrant Peak. It broke about 8' back from the cornice/drift right near my ski tips. I instinctively did a quick drop and roll away even though it was unnecessary. Pretty pulse quickening. I didn't get great pictures as I was heading up the ridge and the light was bad. You can pick out the debris flow by its lighter shade of white and see chunks of cornice/slab that got hung up in the starting zone. North Facing aspect at approx. 9800' on a west to east ridge.Slope angles are 35-40. Crown varied from 1-3'. Hard slab on the the cornice propagated to two other small starting zones and pulled the cornices and all the faceted snow near the ridgeline. Avalanche ran about 800'. The last few week's weather has really weakened what was starting off to be a decent base. Now the winds have capped a a lot of zones with a hard slab pockets. 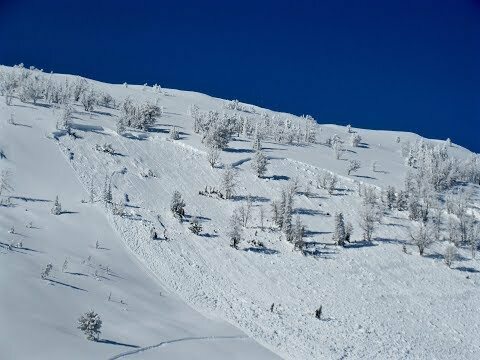 A snowmobnler triggered this avalanche in the 2nd Yellowmule of Buck Ridge. No one was caught. 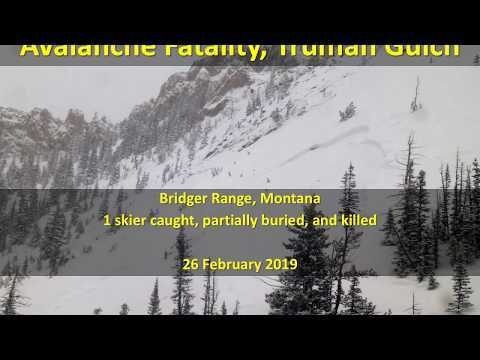 "At around 12:30 I ski cut the top of a NE facing gully on Bridger Peak, roughly 35°. A hard slab broke 6”-12” deep, around 100’ wide. This broke a secondary slab on a NNE aspect adjacent to the first one, around 300’ wide. The slide ran through trees and a gully, traveling close to 2000’ vertical into some lower angle terrain. It broke on the layer of facets that formed last week during the cold weather." This avalanche was around the corner from the snowpit we dug in 2nd Yellowmule. It looked as though it was triggered about the same time we were digging. The slide failed on near-surface facets that formed 10 days ago that are underneath a hard slab of wind-drifted snow. A snowmobiler triggered this slide yesterday while sidehilling on the leeward side of a ridge. Estimated crown was about 50' wide and broke about 12-18” deep. 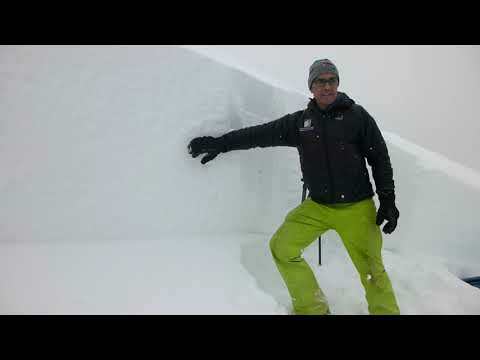 Strong winds created 12-18" thick wind drifts that collapsed on buried facets and surface hoar. We had one crack 30' wide as we left a snowpit. No collapsing or cracking of the snowpack observed, other than the isolated wind slab. "Hit a small, unstable pocket while hiking in Hyalite today. We were traversing under the cliff band between Dielectric Breakdown over to Alex's Solo 1. The layer broke at a boundary between older snow and recently wind-transported slab. No consequences his time, but it is a great reminder of how quickly conditions can change when you're hiking. In the wrong terrain, a slide like this could be really bad." From e-mail: "The wind picked up after noon today and we observed moderate amounts of blowing snow at and above tree line. My climbing partner and I were able to trigger a small loaded pocket between slot corner and curtains, 30 deg, NNW aspect, which failed 6 inches deep and 15 ft wide on diurnal facets (old snow surface). The slab didn't move much due to the stubborn angle..."
Skiers descending Imp Peak in the southern Madison Range triggered this small wind slab. This is bull's eye information that larger slides are possible on wind loaded slopes. From e-mail: "We encountered very localized loading that easily fractured and propagated uphill on a south aspect (photos) then bailed on the E/NE facing run we had hoped to ski, due to a 12-18" slab at the top, obvious wind loading throughout the whole thing (9900'-10300'), and the aforementioned obvious signs of instability. When we turned around, another similar-sized (4-8" by 10-20') slide had occurred on the same aspect as the one we had triggered. Neither ran more than 100' or so." From e-mail: "triggered a small wet slide in the Going Home chute coming back into Beehive, and we observed another natural wet slide on a similar aspect that had occurred since we toured past in the morning. Wind was light or calm all day and wind effect was minimal even at ridgelines." 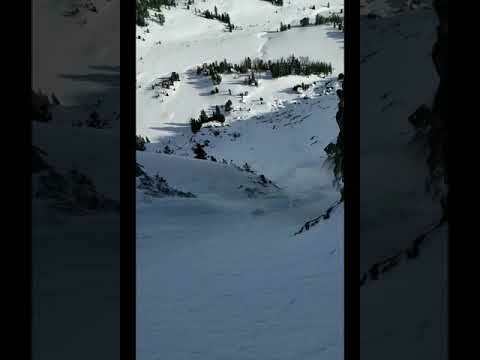 From e-mail: "Today while skiing Bat Ears Couloir in Bear Basin we encountered fast moving 12" deep wind loaded sluff however, it didn't step down." Second e-mail: "Upon entering the couloir I performed a ski cut and released an 8 inch deep slab that was about 12 feet wide that ran about 700 vertical. Then we skied the slide path down and safely returned into beehive by exiting down bear basin. " Today, at around 11am, my partner preformed a ski cut on the top of a gully. The area he cut was south facing and in direct sunlight. The slough from his cut gained momentum and formed a small avalanche that went down the entire gully and apron, taking all of the previous days snow with it. The avalanche went on the old snow sun-crust, and new snow interface. We ascended from the back and found very stable results in both our pits, although they were both high and north facing. No one was caught or injured. I had already skied down part of the slope in another gully, that was entirely shaded, and produced no snow movement. 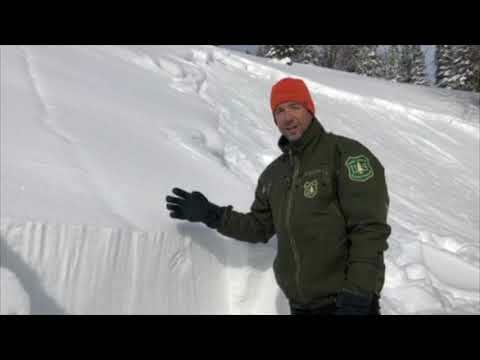 A snowmobiler triggered this small wind slab near Lulu pass outside of Cooke City. Wind loaded slopes are main avalanche concern across the advisory area. "Careful out there this year! While we are lucky enough to have a mostly stable snowpack here in Southwest Montana, we did just find this little wind slab well below the ridge line in Middle Basin. Slowboarder was fine"